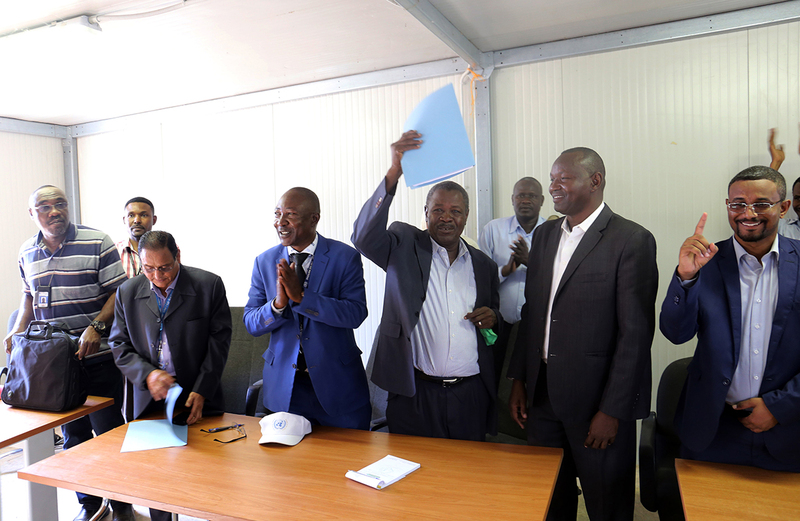 On 4 November 2018, UNAMID officially handed over the Mission’s team site in Mukjar, Central Darfur to the Government of Sudan. The handover ceremony was attended by government officials and UNAMID representatives, and is part of the Mission's ongoing reconfiguration as mandated by UN Security Council Resolution 2429. Photo by Mohammed Idriss, UNAMID.